This is the field next to my studio. 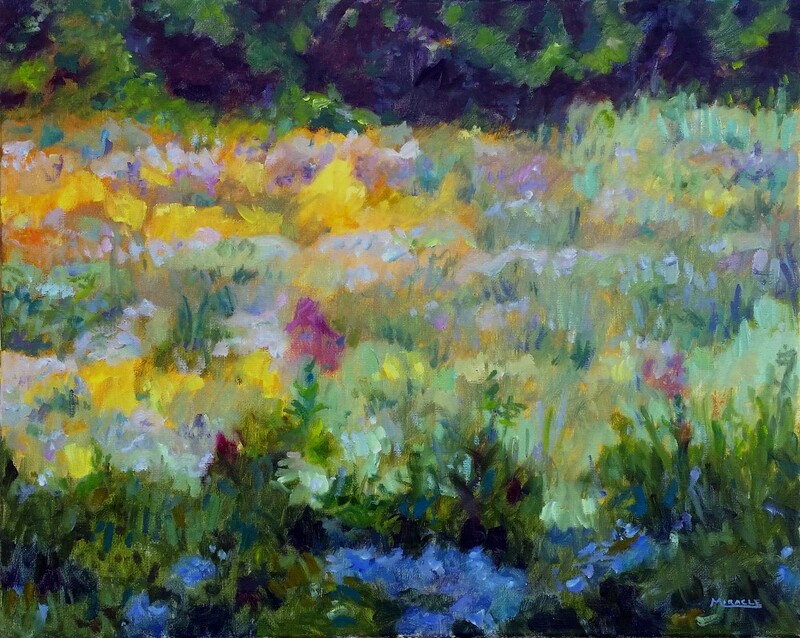 In the early fall, it is a riot of colors of wild flowers. This time of year it’s mostly purples, blues and yellows. Of course, as the artist, I emphasized the colors but they were pretty bright anyway. 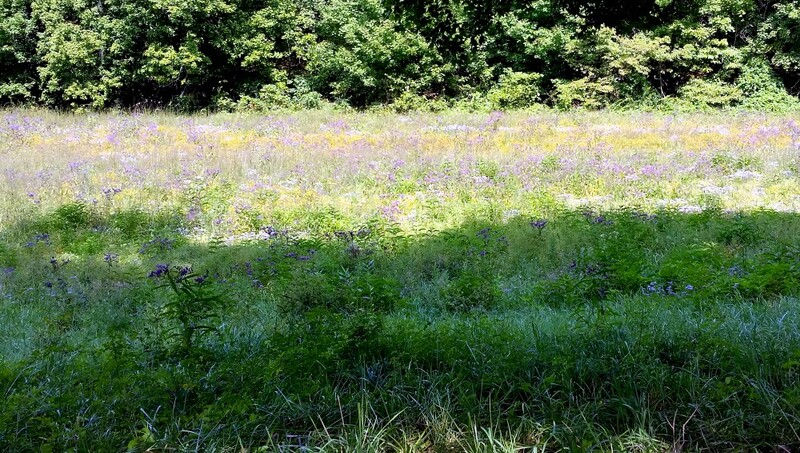 The field was hayed earlier in the year so you’re mostly looking at goldenrod, ageratum, iron weed and Queen Ann’s lace.